Pastor Daniel talks with his pastor and mentor, Chuck Lind, who is now retired as senior pastor from Calvary Chapel in Olympia, Washington. Retirement for Chuck is probably not what you’re thinking! Currently Chuck is leading a weekly Bible study for seniors, a bi-weekly study for younger guys, one for older guys, preaching on an as-needed basis for Calvary Chapel pastors all over Washington state, mentoring a group of young professional men in his home, and volunteering at a local elementary school. How do you pursue and proclaim Jesus in retirement? What does the Bible tell us about retirement and what we should be doing? Chuck describes a key to the transition from a full-time vocation to retirement. Your identity is not what you do, it is your relationship with the Lord. “My identity is that I’m a follower of Jesus, and so I can do that anywhere.” Though you may not have the energy you used to have, you have access. Most of us have grandchildren. Chuck does a weekly Bible study with his grandsons where they go through the Bible and just talk about it. He answers their questions. “I get to spend time with them, telling them stuff that I’ve learned over the years.” As a retired person, you have the ability to spend time in prayer for other people. You can go visit people in nursing homes. There is a great need in this area. What about pouring into the younger generation? Chuck talks about ways to make an impact. It can be challenging reaching the younger generation because sometimes they just don’t want to listen. See if there’s a place you can help with the youth group in your church, where you can invest in a small group of young people. The Bible values the wisdom of the older generation. Do you have any advice for the younger generation? Chuck suggests finding an older man or woman to talk with. Even once a month, talk with them about what you’re going through. Ask them about their life and the things they experienced and the lessons they have learned. What advice would Chuck give to his younger self, from his vantage point now as an older person? “I would listen more to what people had to say…Maybe not thinking I knew what was what best for everybody instead of just steering them to the Lord. Being patient with people and just love them.” What about some final advice for those in retirement? “Ask the Lord to show you places you can be used. Even if you have to sit and wait for awhile.” Try things and see if they work. We are supposed to be busy. We were created to be busy. Basically, we’re just looking for opportunities where people can see our good works and glorify God. And it’s way better than sitting home watching TV. Pastor Daniel talks with longtime friend and fellow Washingtonian, Jason Sanchez, Director of House of Blessing Orphanage in Bachiniva, Mexico about parenting. Jason and his wife (and co-director of the orphanage) Jackie are parents of a seven year-old daughter, Ayantu. Jason shares about his own experience, both being parented and now parenting. How do we pursue and proclaim Jesus in raising up our children? What does the Bible say about parenting? “The Bible is very clear about parenting. We are to raise our children in the ways of the Lord.” The Old Testament book of Deuteronomy, in speaking of the ways of the Lord, says, “You shall teach them diligently to your children, and shall talk of them when you sit in your house, and when you walk by the way, and when you lie down, and when you rise…You shall write them on the doorposts of your house and on your gates.” (Deuteronomy 6:7-8) That pretty much covers every area of life. How is that accomplished? What does this look like practically, in daily living? Ayantu loves to memorize scripture, so that is one way Jason and Jackie have taught her the ways of God. Children have a great capacity to memorize, and this is a natural way to plant God’s word in their heart. Consistently going to church together is another way. After church, talking about what they have heard and what they learned from it. Communication is essential, both talking and listening. What is the role of grace in parenting? Obviously it is not just about memorizing rules. Jason shares the importance in each situation of “knowing their strengths and weaknesses and thinking it through, asking, ‘What is really going to teach them?’” Each child is unique and it is our responsibility as parents to know them and learn how they think, who they are as a person. It is critical to demonstrate a balance between the law (their obedience) and grace and mercy, a balance which Jesus modeled perfectly. “Sometimes He would just say it: Do it this way. Other times He would talk it through: Why are you acting this way? What is in your heart? One of the greatest benefits of parenting is seeing God’s grace from a different perspective. “Seeing your child go through grief, or any difficult situation, and wanting to do anything to take that away. That’s how much God cares for us.” God knows and we can absolutely trust that God intends this pain for something greater. What are some things that have helped you as a parent? Mostly, for Jason and Jackie, it has been time (and the experience that comes with practice) and talking together as parents. The powerful alliance of husband and wife in parenting is a great gift and benefit God has provided through the family. What are some things you appreciate now, as an adult, that you learned from your parents as a child? Jason was raised in a Christian family and went to church each week—not going was not an option. At the time it may have seemed grievous, but it establishes a habit of life that is priceless. Also, a good work ethic. “You want something, you work for it.” Plain and simple. Final thoughts? “Parenting is hard. It’s challenging. You cannot do it in your own strength. You must be seeking the Lord. It’s a huge responsibility. Don’t take it lightly.” Well said. Pastor Daniel talks with fellow church planter Pastor Cameron Barber from Calvary South Sound in Lakewood, Washington about the nature of work as worship. What is it like being a bi-vocational pastor? Cameron talks about working as an auto mechanic, landscaper, armored truck driver and courier, among other jobs he has held while also working as a pastor in the ministry. How does he see work as something of value? What does the Bible tell us about work? “The Bible tells us that, from the beginning, Adam was working. He was naming and categorizing animals…he had responsibilities before the Fall.” The idea that work is a result of the Fall is not true. “God designed us to work. Work is not a curse.” Work has suffered as a result of the curse, but God has redeemed it for us. “It is our job to go back into that marketplace and to love people right where they are. God has redeemed work.” Colossians 3:17: “And whatever you do, in word or deed, do everything in the name of the Lord Jesus, giving thanks to God the Father through him.” How is seeing work as worship valuable? What exactly is the value God brings when He says you can worship Him through work? Cameron shares his view of the aesthetics of work, that work is inherently beautiful because God has made it so. It’s a transformational concept that Pastor Daniel really likes a lot! Cameron says, “I will always be a bi-vocational pastor because I see the fruit of it. But I’m a pastor. 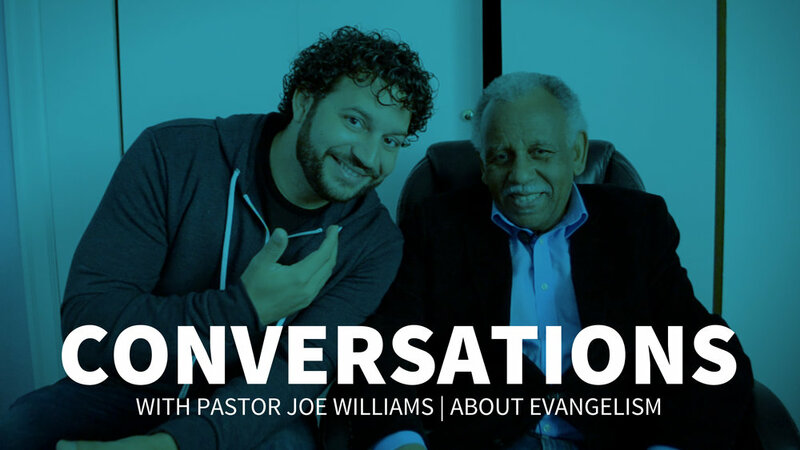 The gospel is always going to come out.” Through natural interactions in the workplace, conversations happen in which Jesus and the gospel are reasonable. Because you are putting it back out there for people to hear. Paul did this all through the book of Acts. He was the first bi-vocational pastor. He made tents for a living. “God opens doors everywhere. And it is probably the most effective tool for the gospel, for missions, on the planet.” What are the effects of approaching work as worship, God using us where He has placed us in the marketplace? Pastor Cameron shares his heart for the mission field of America. “In reality the greatest mission field is here at home. And it is accessible through work.” What are some practical tips for approaching work as worship? Understand that your purpose in life is to glorify God in all you do. Be the best employee you can be. Realize people are broken. Listen to them. Tell people you work with that you love Jesus and live for Him. Be open to the opportunities God puts in front of you. “It is amazing the number of times you can connect what people are sharing with you to the gospel. That’s God. I don’t do that. It’s Him.” Some people won’t want to hear it, but it’s not our job to look at the result. It’s our job to plant the seeds of the gospel. Be encouraged by this great message as you go to work this week, or even today, May you do it for God’s glory. 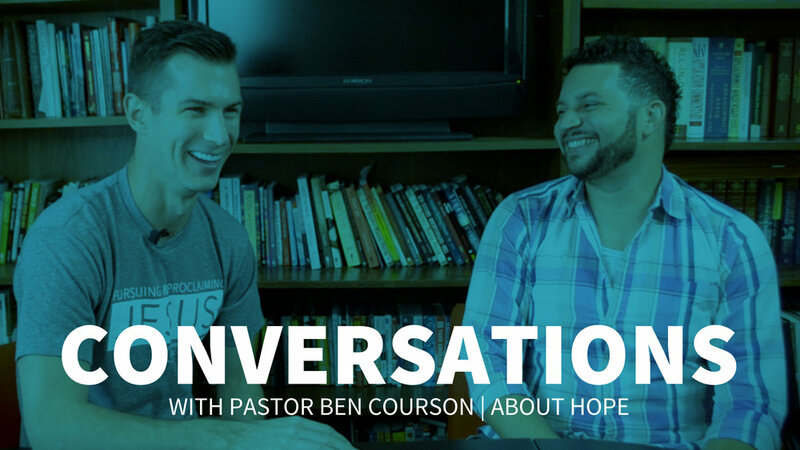 Pastor Daniel talks with his friend and fellow local pastor Casey Cleveland from The Avenue Church in Delray Beach, sharing what it means to serve and love the city of Delray Beach and the encouragement they are to each other as they plough and labor together with their church communities to impact the city for Jesus. Casey describes his approach in the words of another Christian leader, Dr. Paul Tripp: “Love, Know, Speak, Do.” These are the four key steps in reaching the people where God has sent you. “What are the hopes and the hurts and the wishes of your city?” Loving your community begins by being a faithful presence in good times and bad, getting to know personally who these people are, sharing the gospel in a way that is relevant to them and inviting them to be a part of God’s family. Why is it important to love the city where you live? What does it look like and how do we take practical steps to make this a part of our lives? Take a listen.